Any home renovation can have a dramatic and beneficial impact on the usability of a room. The most impactful change you can make is to introduce more light and brightness. This increases the practicality of the room design and allows you to enjoy this space at all times of the day. But, what do you do if the room you’ve created cannot realistically have a window? Some rooms that sit nestled in the heart of the home are surrounded by separating walls and don’t face outwards in any direction. Two practical solutions are to introduce either a skylight or a light tube to help funnel light directly into the room. In this blog, we’ll take a look at both to help you decide on the best option for your property. Skylight windows are primarily seen in loft conversions and are set into the roof or ceiling at the same angle. They open up the wall to allow light in while offering a barrier against bad weather conditions. 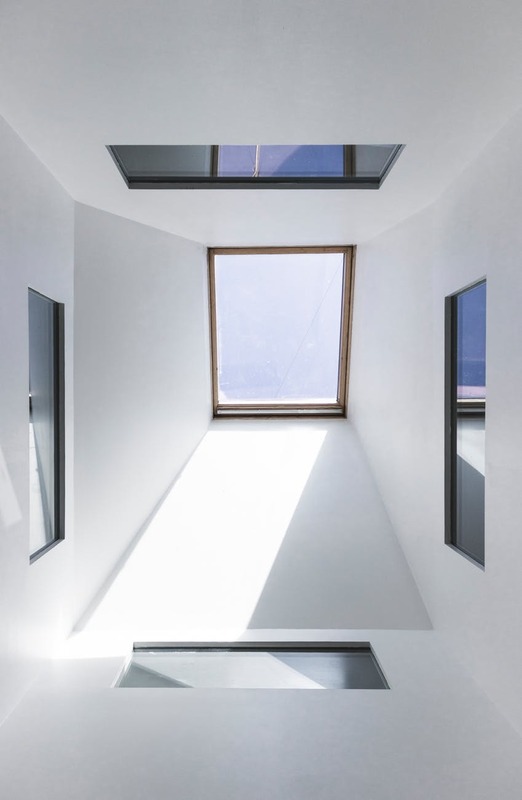 In smaller rooms that sit independently from the rest of the building and have only a single roof above them, a skylight can effectively improve the brightness in seconds. They are ideal for bathrooms, bedrooms, closets and other smaller spaces. In the market, you’ll find a host of different brand names to choose from. These include the more recognisable, such as Velux ™ through to lesser known companies such as Keylite ™. Each company has its own benefits and unique designs, so researching into all options available will ensure you find the right skylight for you. In rooms with thicker roofs or those that sit underneath a loft, light tubes are the ideal option. These highly reflective tubes help to channel sunlight directly into the room below. There are two main types to choose from – flexible or rigid. In general, rigid light tubes are the most popular option as they offer better light transmission. Flexible tubes are ideal for negotiating past obstructions in the roof space, are a low cost-alternative and are best suited to shorter distances. Light tubes can be installed on both pitch or flat roofs and can be finished with stylish domes to suit the roof style. With both skylights and light tubes, positioning is a big factor when it comes to their success. Here at Albino Builders, we have a wealth of knowledge to help you identify the best way to bring light into your home. Contact us today for more information.